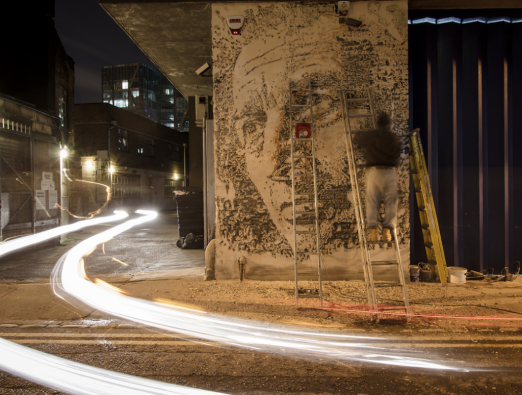 Vhils has been in town recently and to coincide with his new exhibition at Laz Inc, he’s been out on the streets crafting walls in the fashion we’re all familiar with – sterling work! This shot captures the intricate work whilst he’s at work. Check out the Laz Inc website for further details on the show, taking place at their Rathbone Place space.